When did riding wooden surfboards first begin on the East Coast of the United States? 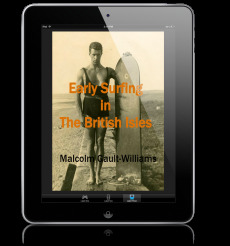 When did the first images of surfing appear and who were the first East Coast surfers? The first printed image of a surfer on the East Coast is “The Sandwich Island Girl,” on the cover of the cover of the National Police Gazette of August 18, 1888.1 The second is a picture postcard from Wrightsville Beach, North Carolina, hand dated 1907. The first known surfers were Burke Haywood Bridgers at Wrightsville in the late summer of 1909 and Eugene Johnson in Daytona Beach, Florida, at the same time. 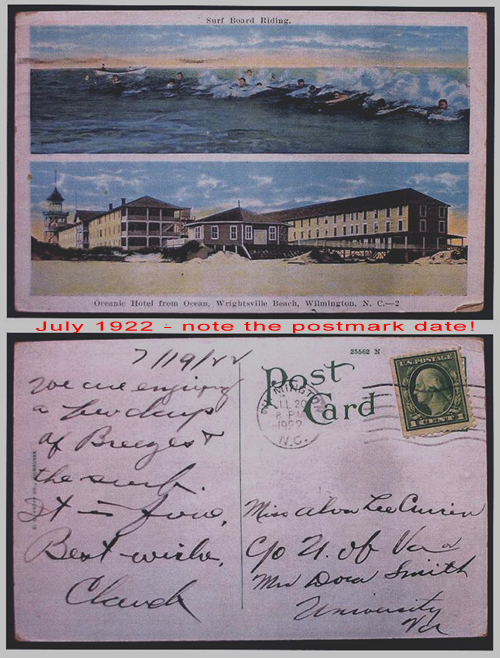 Three additional Wrightsville Beach postcards have been found; two hand dated and U.S. 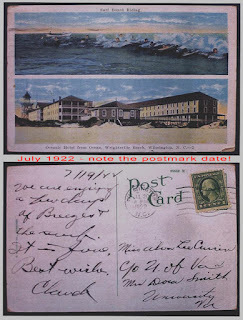 Postal Service stamped in 1909 and 1912 and a third hand dated July 19, 1922 and postmarked the following day, showing body boarders surfing prone on body boards with what may be an alaia sized board. Two particular people on USA’s East Coast immediately did so: Burke Haywood Bridgers, Wrightsville Beach, North Carolina, and Eugene Johnson at Daytona Beach, Florida. Likely, there were others, but these are the two we know a little bit about. “What is the thickness and weight of the usual Hawaiian surf board? “Are these boards made perfectly straight on the bottom, or do they curve up at the bow and sides? “Has anyone ever come in standing up in this country? What is the average height and wave speed in the Hawaiian Islands? “Are the waves there ridden at all before they break, if so, generally how far? It is not known whether or not Ford wrote or contacted Bridgers subsequently. From this, we can see that surfing -- at least seasonally -- became on-going activity at Wrightsville. At about the same time Burke Haywood Bridgers was making his surfboard in late August, 1909, Eugene Johnson was making his own at Daytona Beach, Florida. Since the Daytona article was published Saturday, August 28 and the Collier's article was published on August 14, that means Bridgers and Johnson were surfing roughly about the same time on Alexander Hume Ford inspired surfboards. 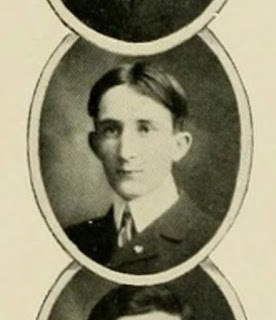 So, in terms of knowing the names of people first surfing the East Coast, credit goes to both Burke Haywood Bridgers and Eugene Johnson and wife, in late August 1909. 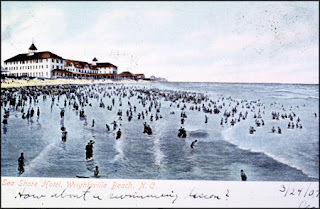 The earliest record of surfing in an area -- even if it might just be on a rental board from a bath house -- goes to Wrightsville Beach, North Carolina. Postcard evidence documents surfing activity there before and after Bridgers made his first board. Surfing remained virtually unknown on USA’s East Coast until “The Father of Modern Surfing,” Duke Paoa Kahanamoku gave his famous surfing and bodysurfing demonstrations on the Jersey Shore and Long Island, 1912-1919. 14 Funderburg, J. Skipper. “Critical Textual Analysis of the Burke Haywood Bridgers Letter & Comments,” 31 March 2015. 15 Pacific Commercial Advertiser, Honolulu, Hawaii, 2 April 1910. 16 Pacific Commercial Advertiser, Honolulu, Hawaii, 2 April 1910. 17 Pacific Commercial Advertiser, Honolulu, Hawaii, 2 April 1910. Burke Haywood Bridgers. 18 Pacific Commercial Advertiser, Honolulu, Hawaii, 2 April 1910. Burke Haywood Bridgers. 19 Pacific Commercial Advertiser, Honolulu, Hawaii, 2 April 1910. Burke Haywood Bridgers. 20 Funderburg, J. Skipper. “Critical Textual Analysis of the Burke Haywood Bridgers Letter & Comments,” 31 March 2015. 21 North Carolina Highway Marker Program, North Carolina Department of Cultural Resources, Marker ID D-116, “Pioneer East Coast Surfing,” updated 28 March 2017: http://www.ncmarkers.com/Markers.aspx?MarkerId=D-116. See also Funderburg, 31 March 2015. 22 Pacific Commercial Advertiser, Honolulu, Hawaii, 2 April 1910. Burke Haywood Bridgers. 23 Pacific Commercial Advertiser, Honolulu, Hawaii, 2 April 1910. Burke Haywood Bridgers. 24 Pacific Commercial Advertiser, Honolulu, Hawaii, 2 April 1910. Burke Haywood Bridgers. Image of a chute in “source file 33,” Funderburg. 25 Pacific Commercial Advertiser, Honolulu, Hawaii, 2 April 1910. 26 Pacific Commercial Advertiser, Honolulu, Hawaii, 2 April 1910. 27 Wilmington Evening Dispatch, August 29, 1909 and Wilmington Morning Star, September 1, 1909 cited in description of Marker D-116, “Pioneer East Coast Surfing,” updated 28 March 2017: http://www.ncmarkers.com/Markers.aspx?MarkerId=D-116. See also: Lumina Program for July 4, 1910 Athletic's Event. 28 North Carolina Highway Marker Program, North Carolina Department of Cultural Resources, Marker ID D-116, “Pioneer East Coast Surfing,” updated 28 March 2017: http://www.ncmarkers.com/Markers.aspx?MarkerId=D-116. See also Funderberg, 31 March 2015. 29 J. Skipper Funderburg email to Malcolm, 27 March 2017. 30 Bernard, H.A. Column published in the Daytona Gazette, 28 August 1909. 32 Ferebee, Stewart. “The Surfing Life, Virginia Living Magazine, August 4, 2011 at: http://www.legendarysurfers.com/2011/08/virginia-beach.html and Kahn, Jordan. “Surfing’s Lost Chapter,” Daytona Beach News-Journal, 28 July 2008 at http://files.legendarysurfers.com/blog/2008/08/early-daytona-beach.html. 33 Lueras, Leonard, 1984, p. 96. 34 Kahanamoku, 1968, pp. 36-37. 35 Gault-Williams, LEGENDARY SURFERS Volume 1, 2005. Chapter on Duke. 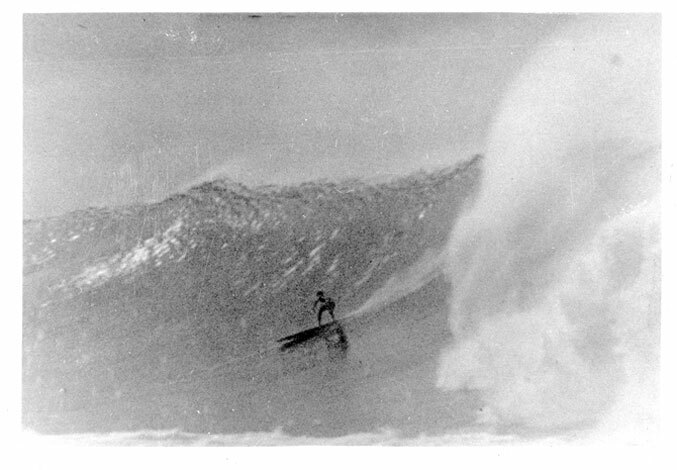 36 Kahanamoku, 1968, pp. 36-37. 37 Kahanamoku, 1968, pp. 36-37.